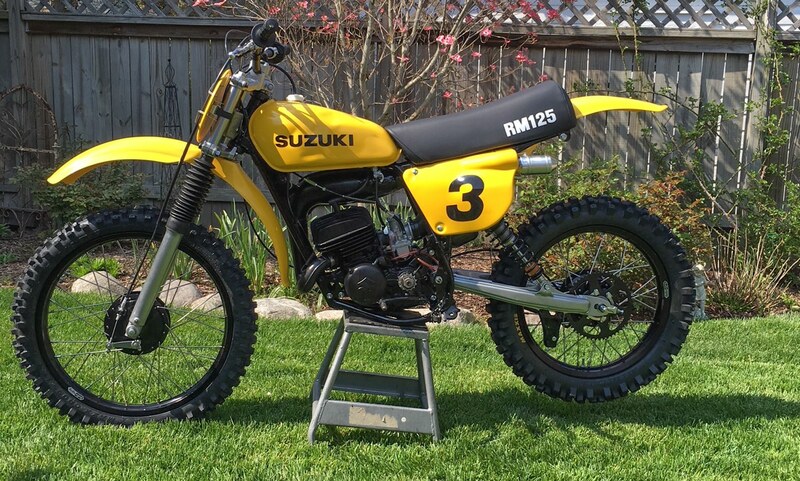 Full Restoration of a 1976 Suzuki RM125. -Noleen Marty Tripe vintage shocks. -Buchanan black anodized rims and heavy stainless spokes. -Full sandblast and powder coat of all components. Every nut-bolt new OEM. -Vintage Suzuki plastics and PPG paint to redo tank to match plastics. 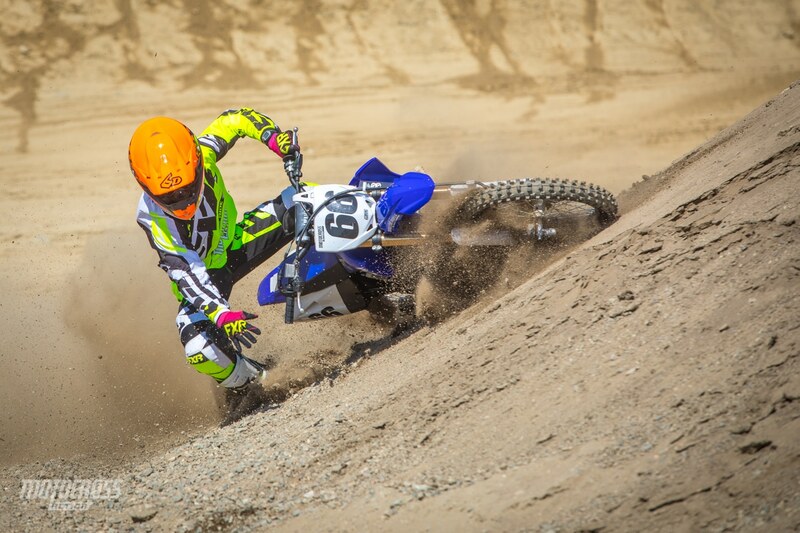 This is Brian on the 2018 Yamaha YZ85. No, he is not 14 years old. He is a 130 pound, 5’6, 23 year old AMA Pro rider. 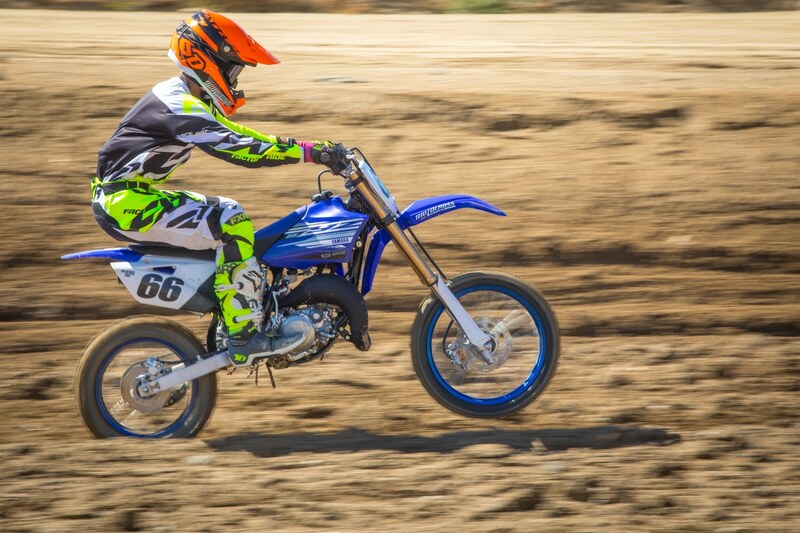 What’s up everyone, MXA test rider Brian Medeiros here. As some of you may know, I’m one of the lighter test riders on the MXA wrecking crew and setting up a 450cc can be a little difficult if you’re not in the 170-185 pound range. That’s where I’d like to help by offering some of my settings that have worked for me. 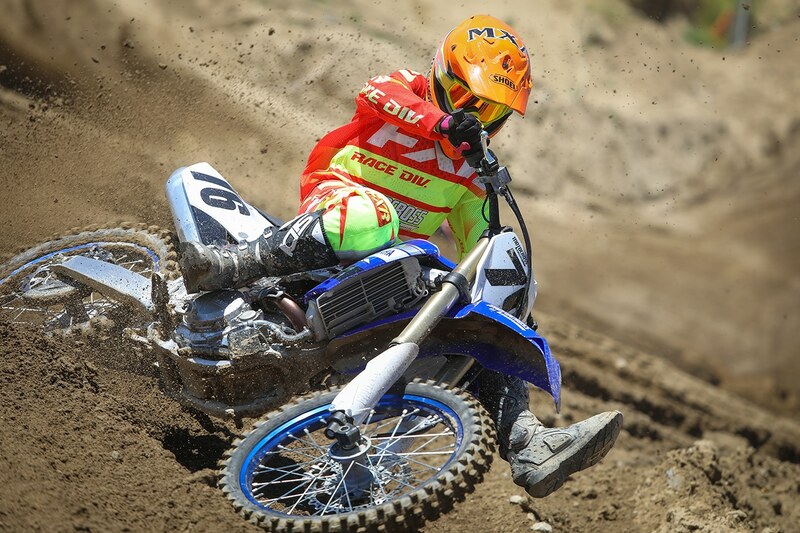 Last Thursday the MXA crew and myself headed out to Glen Helen Raceway to ride the 2019 Yamaha YZ450F. This was an all-new bike in 2018, and after putting 80 hours on our test bike we discovered that there was some room for improvement. For 2019, Yamaha made some small updates to the YZ450F to improve some problem areas. For 2019 Yamaha stuck with the tried and true KYB SSS coil spring forks, however, they have updated them with a stiffer shim stack to help hold the forks up higher in the stroke under heavy braking while still maintaining a plush initial feel for the small chop. 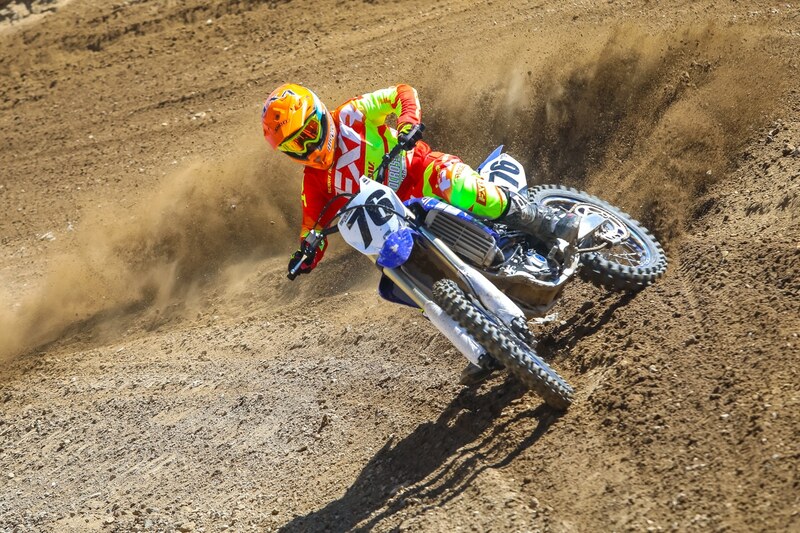 Brian getting some laps in on the 2019 Yamaha YZ450F. They nailed it. For 2019 the YZ450F comes with 5.0 fork springs (as they did in 2018) with the compression set at 9 clicks and rebound at 13 clicks, I didn’t have to change a thing on the forks. They were plush in the initial part of the stroke and got stiffer as I got further down in the stroke without the “blow through” feel and harshness in your hands. As for the shock, it also received some valving updates to work with the updated fork settings. Equipped with a 5.8 spring (as it did in 2018) with the low speed compression set at 10 clicks out, high speed compression set at 1 ¼ turns our, and rebound at 10 click out. The 2019 Kayaba shock with its updated settings doesn’t have that wallowing sensation like it did last year. I was able to get 103mm of sag while keeping some preload on the spring. On the track I felt that the shock settled a lot better than it did last year and didn’t have the wallow feel with the stiffer shim stack. To get a little more comfortable on the track I went 1/4 of a turn softer (out) on the high-speed compression to get rid of the harsh feel on the square edge bumps under acceleration, as well as slowing the rebound down 1 click to help settle the shock down on the entrance of corners. Forks: Comp- 9 clicks out, Reb- 13 clicks out. Shock: Hi-Speed Comp- 1 ½ turns out, Lo-Speed Comp- 10 clicks out, Reb- 9 clicks out. 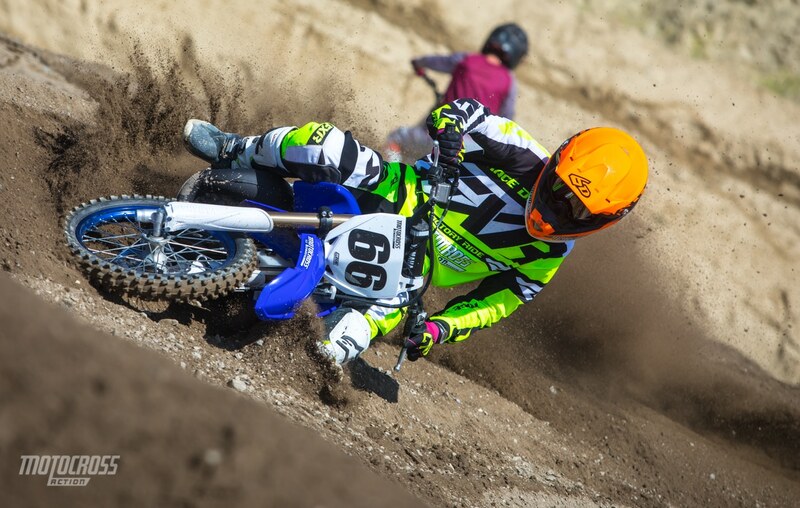 If you are in the 130-150-pound range and just picked yourself up a 2019 Yamaha YZ450F give these settings a try and let us know what you think! Stay tuned for another 130LB. Perspective article coming soon! Press Release: Sunday night, in front of an estimated 25,000 fans watching in-person from Las Vegas and more tuning in live on television across North America, action sports superstar Travis Pastrana celebrated Evel Knievel during the unprecedented HISTORY® live event, “Evel Live.” Produced in partnership with Nitro Circus, “Evel Live” saw Pastrana pay homage to Knievel’s legacy as he set out to recreate three of the American legend’s most iconic jumps. 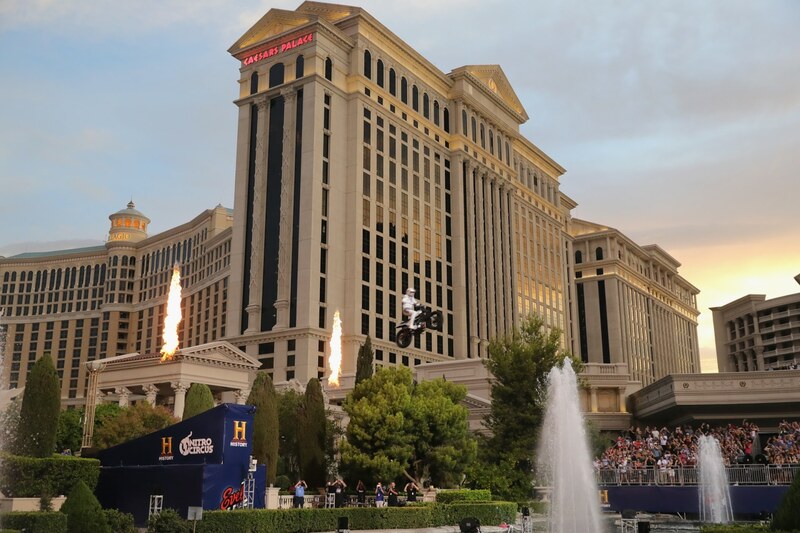 Pastrana pushed the limits even further though, breaking Knievel’s famous car and Greyhound bus jump records before completing the epic Caesars Palace fountain jump that left Knievel grasping for his life 50 years ago. Shortly after Pastrana took a celebratory dive into the Caesars Palace fountains to cap off the night, #EvelLive trended at #1 on Twitter. 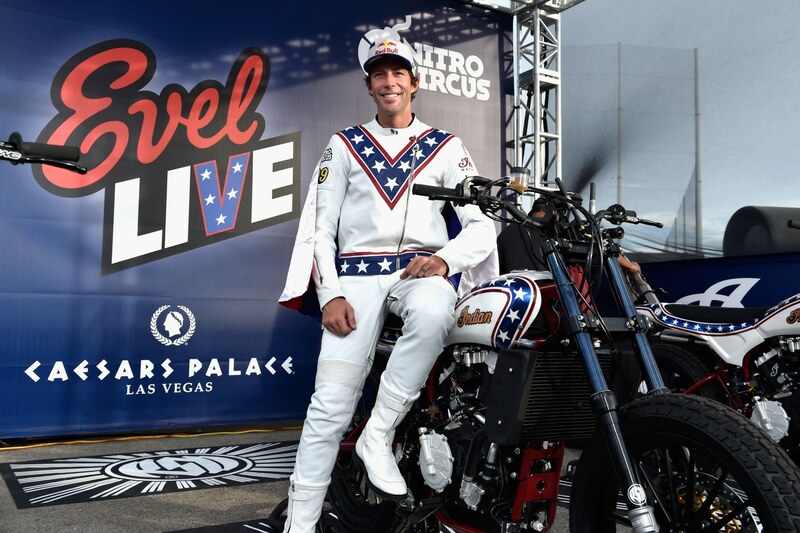 “I’m thrilled to have had this opportunity to honor Evel Knievel, whose guts and showmanship created the foundation for action sports,” Travis Pastrana said afterwards. “Evel pushed himself and flew further on a motorcycle than anyone thought possible. 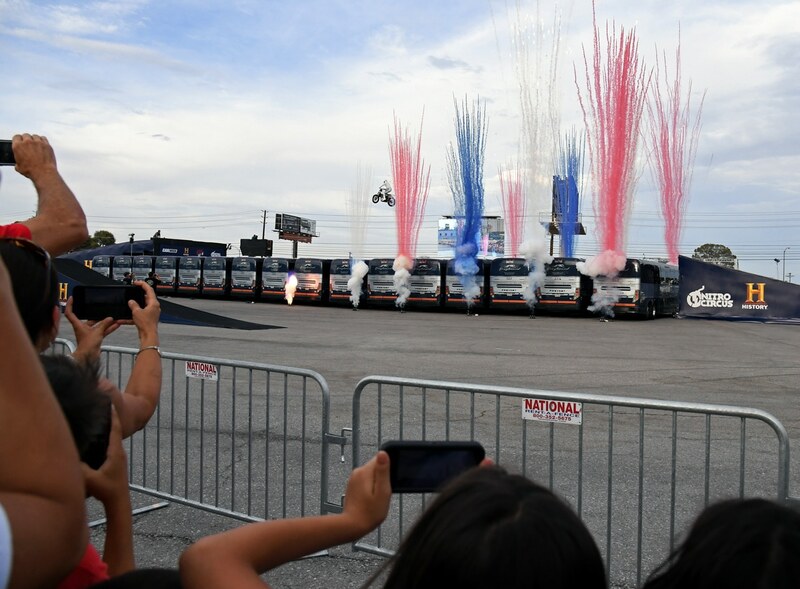 So with this modern day tribute we wanted to bridge generations – from my parents generation who was inspired by Evel to the generation after me who may not know much about the original stunt men who paved the way – HISTORY and Nitro Circus wanted to show just how incredible his accomplishments were. To be able do that in Las Vegas and at Caesars Palace, where Evel’s legend was born, is so awesome. 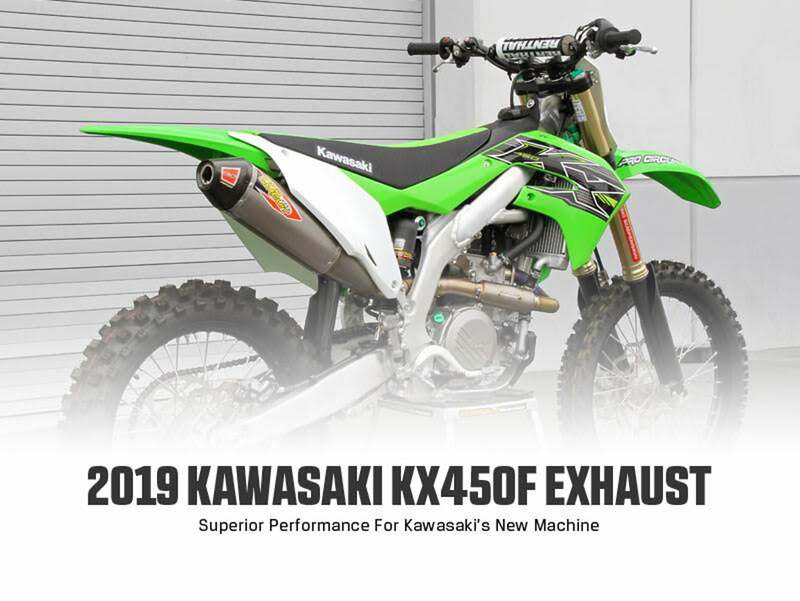 Press Release: Kawasaki’s redesigned 2019 KX450F has riders eager to get their hands on one, luckily for them, we here at Pro Circuit have the performance exhaust they need to up the joy of riding the new machine. Every Pro Circuit exhaust system is proudly designed and manufactured in the USA and offers superior performance and power gains for both the T-6 and Ti-6 line. We have built our reputation on championship-winning performance products and 2019 will be no different. Equip your new 2019 KX450F with the latest T-6 or Ti-6 exhaust system and leave your competition in the dust. 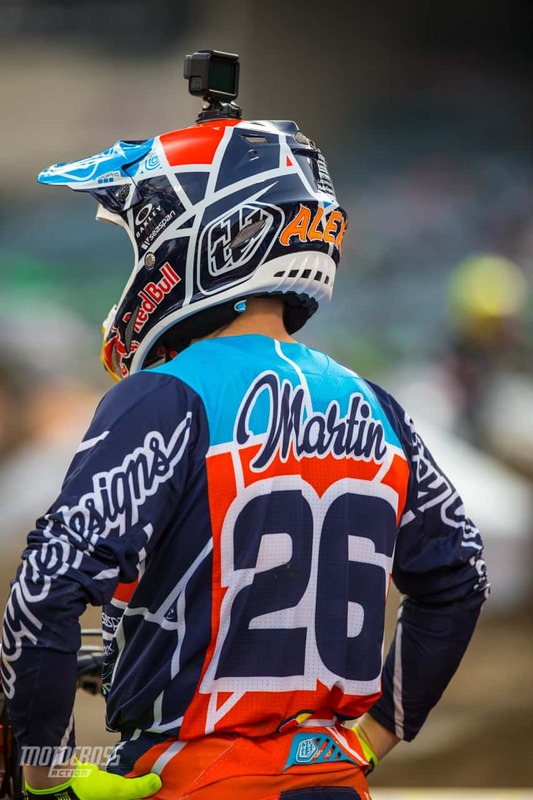 Currently second place in 250 motocross championship points, Troy Lee Designs/Red Bull/KTM rider Alex Martin knows what needs to be done. He needs wins, and more podiums to break the twenty point gap that leader Aaron Pessinger has on him. And while Plessinger has won motos and overalls, he too has struggled with some bad days. The championship is a battle between the tall (Plessinger) and the short (Martin). 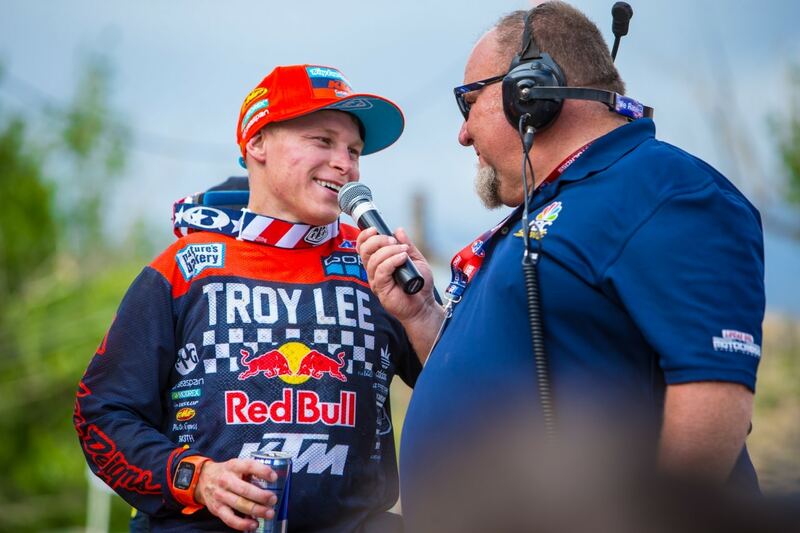 As we’ve seen in the 250 class this year, anything can happen, and I believe that Alex Martin is the man most likely to win this championship. 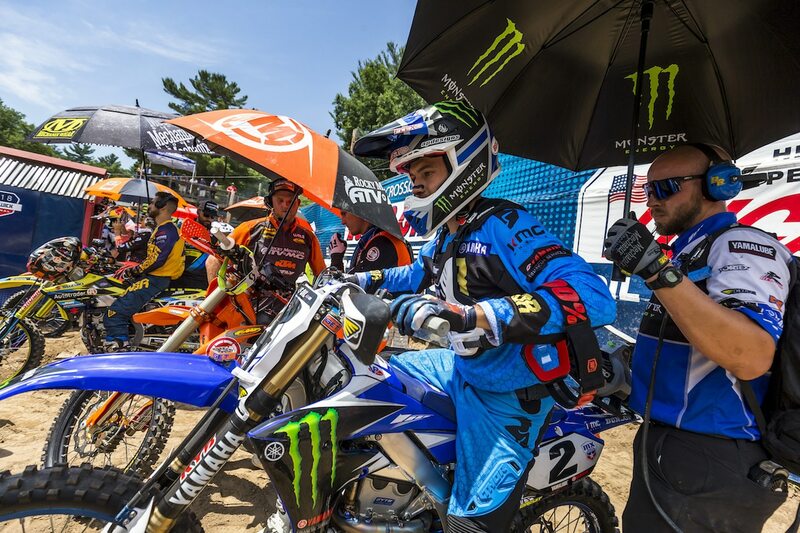 We caught up with him a couple days after Red Bud, where the weekend before he had his run in with Austin Forkner (as Aaron Plessiner did at red bud). 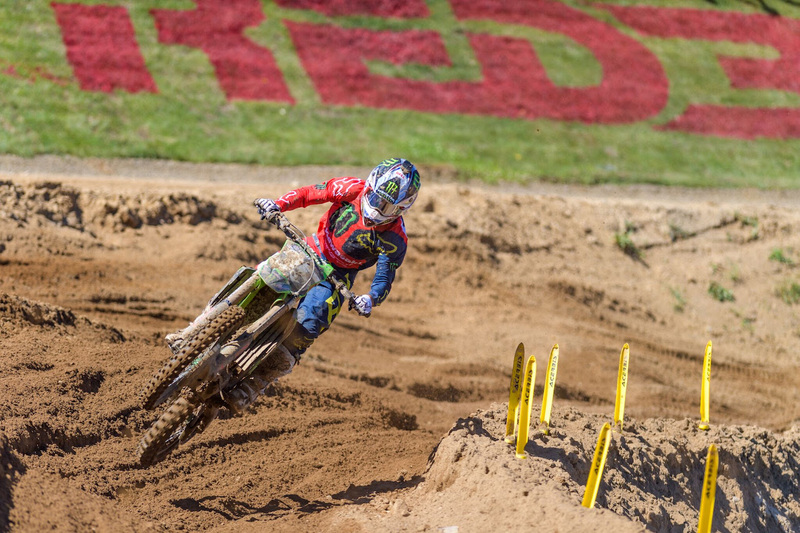 ALEX TO BEGIN WITH, DOES ANYTHING FURTHER NEED TO BE SAID ABOUT SOUTHWICK AND AUSTIN FORKNER? I did not really touch on it a whole lot at the press conference. At the time, actually I had not really watched any footage, so the whole accident/incident was still in my head. Afterwards I had a little bit of time, and I went ahead and watched the footage. Definitely I felt like I was a lot closer to making the pass then what it looks like on TV. Obviously, I was close, he basically had the line, and I came in and booted him out of the way. Obviously I felt really bad about it, end of the race. 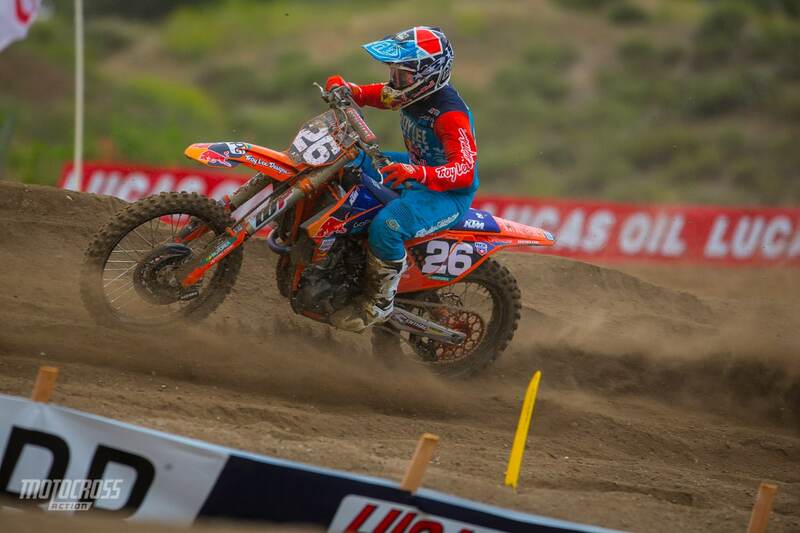 Basically, I was just going for it, and if I won the moto, I got the overall. 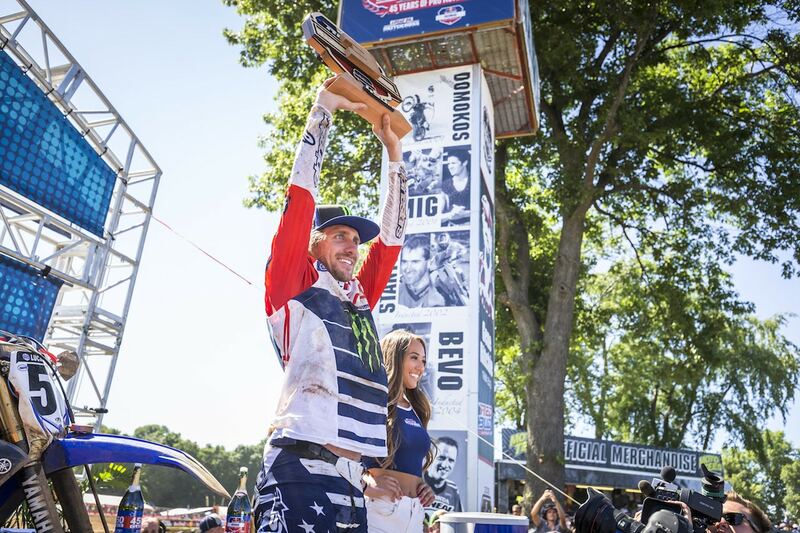 If he won the moto, he got the overall. So yes, I was definitely going for it. It was unfortunate the way it happened, but at the end of the day it is racing. THE THING THAT ALWAYS COMES TO MY MIND IS OBVIOUSLY YOU DO NOT GO IN WITH THE INTENTION OF TAKING SOMEBODY OUT, BECAUSE YOU CAN ALSO CRASH. YOU CAN BE FINED OR PENALIZED. THERE ARE RARE INSTANCES THAT COME TO MIND WHERE SOMEBODY MIGHT SAY, “I WANTED TO TAKE HIM OUT” BUT GENERALLY, THAT IS THE EXCEPTION. Yes, yes, obviously. I don’t hold grudges or have anyone out there that I am planning to take out pretty much ever in the whole span of my career. So yes, that is why I say it is a racing incident, because it just kind of happens that way. You never know how things are going to unfold and so far this year, I felt like it was really tough to make passes. There were just not a lot of lines that were fast, alternate lines that were fast, so you had to be aggressive. Like I said, we were getting down to the end of the second moto and I had a little more speed at that point in time and I was trying to get the win. THIS INTERVIEW IS ABOUT YOU, BUT IT MAKES SENSE TO ASK ABOUT YOUR BROTHER JEREMY. My brother actually just got back to Minnesota. He has been at the Bristol Medical Center up until today. They are doing a great job taking care of him. He had surgery last Monday, so the Monday after Muddy Creek he was actually up and walking around by Wednesday, so I was really surprised, and really happy for that. I am just really grateful that he is healthy and can walk and have full feeling and all of that stuff, but having said that, he is hurting for sure. He has had some adverse reactions to some medication and stuff, and in general he has a lot of pain dealing with the injury, so I definitely feel for him. PRE-SEASON PEOPLE THOUGHT THE CHAMPIONSHIP CONTENDERS WERE YOUR BROTHER, ZACH OSBORNE, AARON PLESSINGER, AN MAYBE SOME OF THE MONSTER PRO CIRCUIT GUYS. NOW IT SEEMS LIKE IT HAS COME DOWN TO YOU AND PLESSINGER. Yes, for sure I would consider myself an underdog, maybe not in my eyes, but in the press and media. That is just the way it is. You know I have won some races and been on the podium a lot, but I have not exactly won consistently. I think that is the difference. 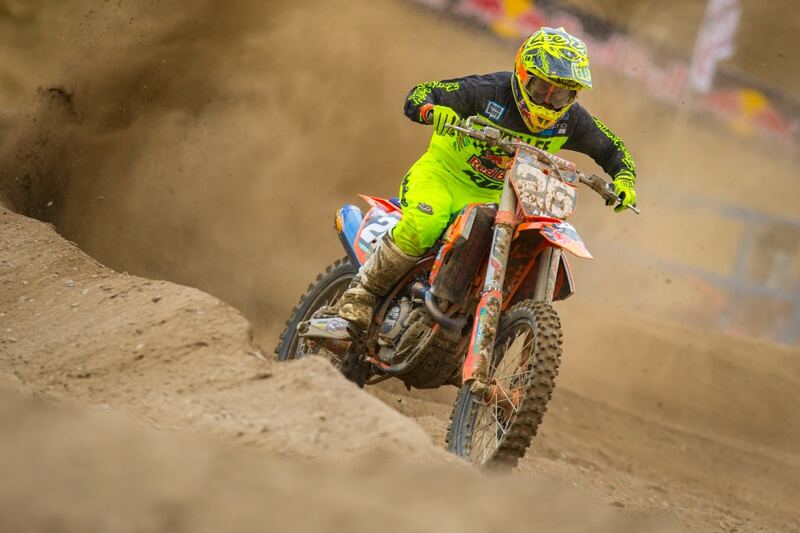 There is a lot of hype coming off these guys that are champions or winning Supercross races, and in the last couple of years that I have been hurt or missed Supercross, so I’m out of the public eye, I guess. Because I am not racing Supercross, so that is the big difference for me I think. 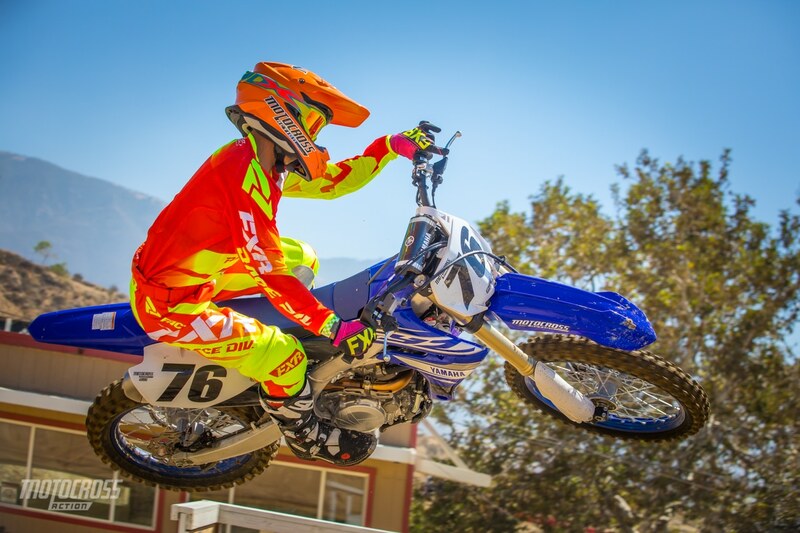 AARON PLESSINGER SEEMS ABOUT THE OPPOSITE OF YOU; HE IS AWAYS JOKING AROUND AND LAUGHING. Yes, he is goofy obviously; we all know that. But yeah I think for the most part my brother and I stick to ourselves and do the work. We do not party too much; we are all business. LOOKING AT SOME OF THE RESULTS ALEX, YOU WERE EIGHTH ONCE, BUT GENERALLY YOU HAVE BEN A TOP FOUR FINISHER. Yes, I think I was looking at it the other day and we had three-second overalls, two 4ths and maybe an 8th. You know we are only half way. I have been fairly consistent but obviously we need a little bit more if we are going to be up there. We definitely need to get some wins. OBVIOUSLY, YOU ARE AT A POINTS DEFICIT TO PLESSINGER, BUT I DO NOT REALLY KNOW THAT HE HAS RIDDEN MUCH MORE DOMINANT THAN YOU HAVE. I think for sure the last couple of years, I have been ahead of him in point’s. In 2016 and then in 2017, I was ahead of him until I broke my scapula before Washougal. I mean by no means is it impossible. But I think he is definitely riding the best he has ever ridden this year. 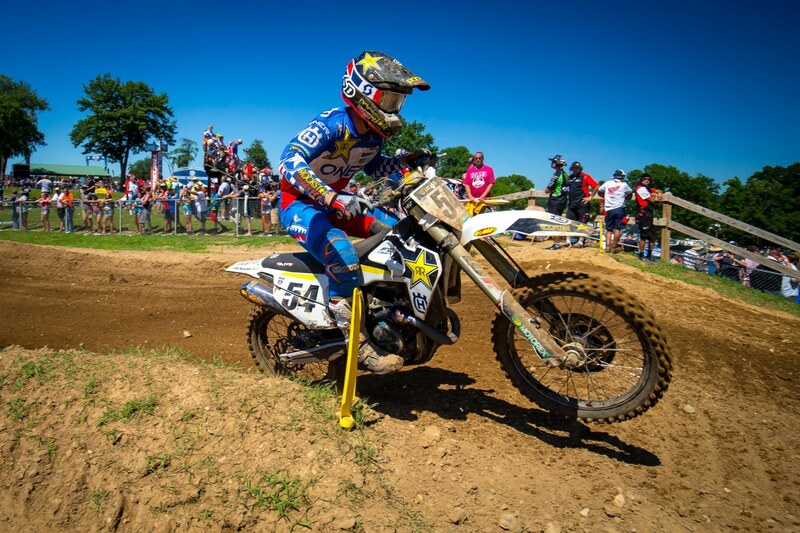 He has had a couple dominant 1-1 overall victories like here at Red Bud –which is what I need to do! But for me, you know, I feel that I am fitter, and faster than I have ever been as well. For me the big thing is that I had a couple of races, such as High Point, Muddy Creek where I gave up a lot of points. The thing is, it is a long season, so we just need to be consistent, and be there at the end. YOU DO SEEM TO BE ONE OF THE FIT RIDERS. I would like to think so for sure. 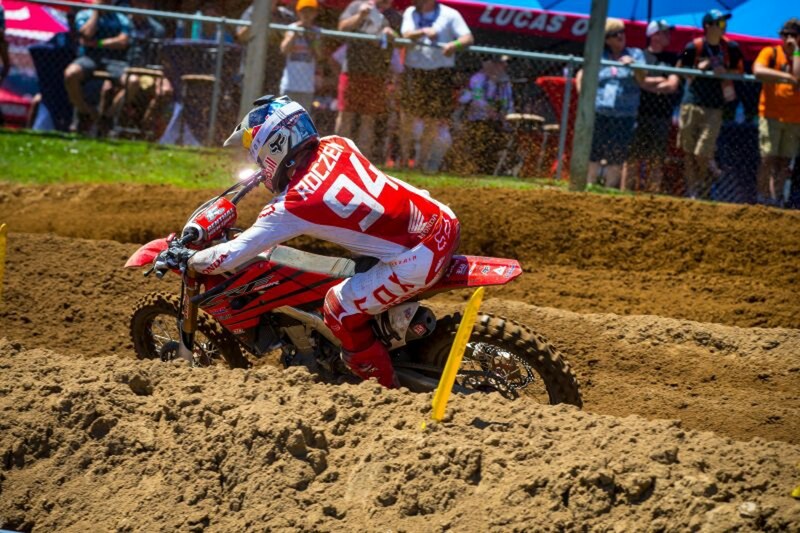 I definitely pride myself on the hard work that we do, but you know even Southwick was more of a test of fitness than anything else, especially in the second moto with the heat at 95 degrees, and the track being so tough. DOES THAT FACT THAT YOU WERE ONCE A MEMBER OF THE YAMALUBE/ STAR RACING /YAMAHA TEAM HELP YOU AT ALL? Obviously you know I was on the team in 2016, so I know that they definitely have some good bikes, and a great training program, so I kind of know what is going on. But for the most part, you know things evolve. It has been two years since I have been on the team, so obviously like I said, you never know what the latest and greatest is, but you know obviously as racers, we have all been racing ourselves for quite a few years. We kind of know our weaknesses and strengths, and I try to play to that. But at the end of the day, there is a lot out of our control, and we try to capitalize on the weekend. 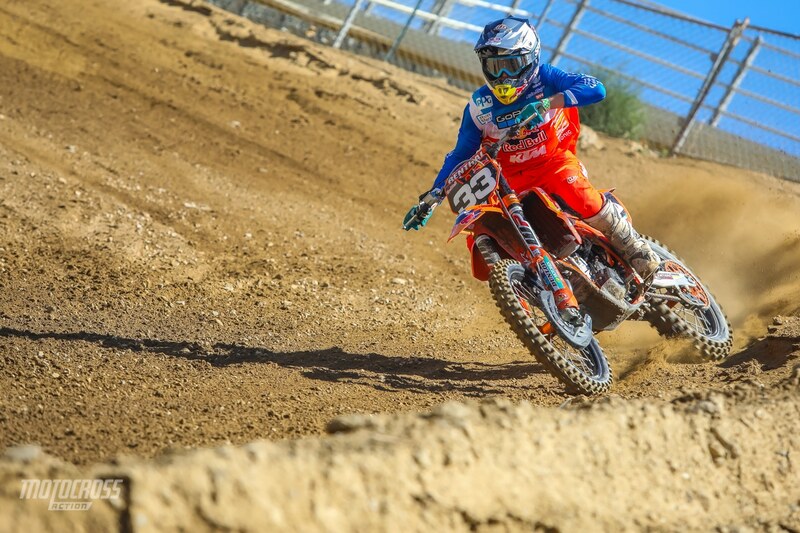 DO YOU TRAIN WITH THE REST OF THE TLD/KTM TEAM? 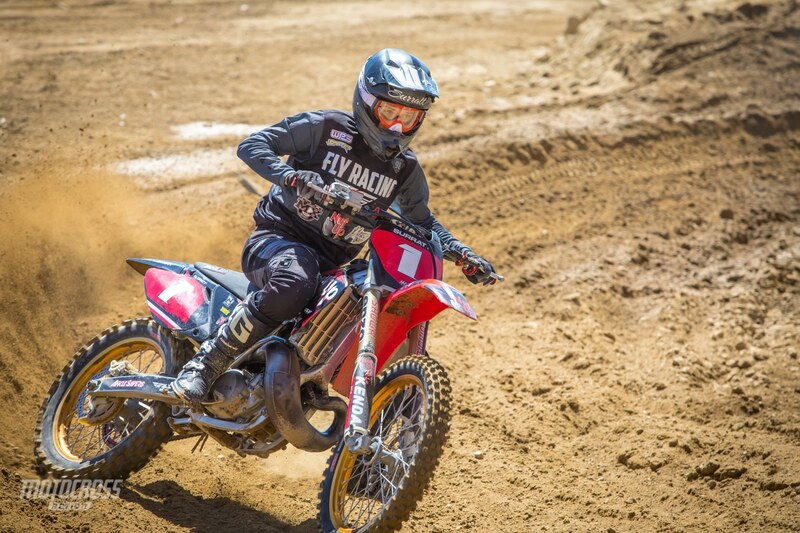 My teammate, Shane McElrath trains at Baker’s Factory and then the Husky guys, Jordan Bailey, Mitchell Harrison, Michael Mosiman, they train at Baker’s Factory as well, but that it is it. On the other side of it, my other teammates Jordan Smith and Sean Cantrell do their own programs. 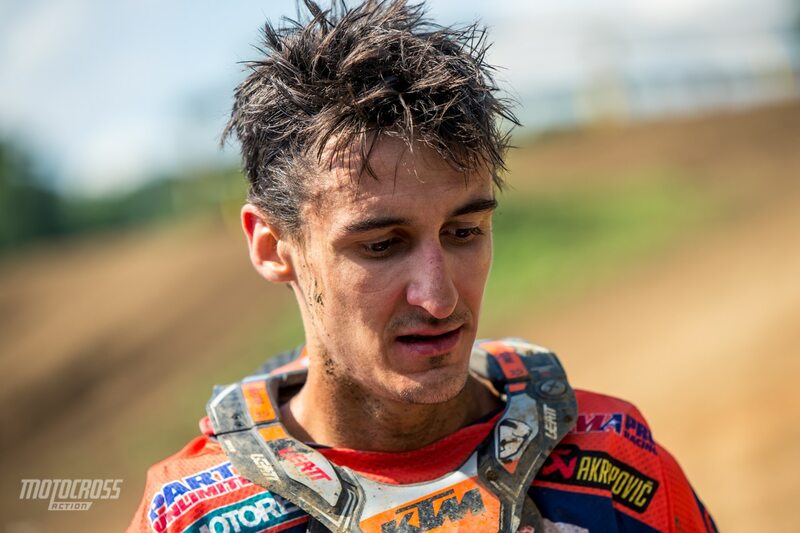 But you know, Star Yamaha, they all train with Swany (Gareth Swanepoel) and they have all the riders riding together, and so it is not quite the same program as over at TLD KTM, with Jordan Smith, Cantrell doing their own thing and Shane and myself training together. 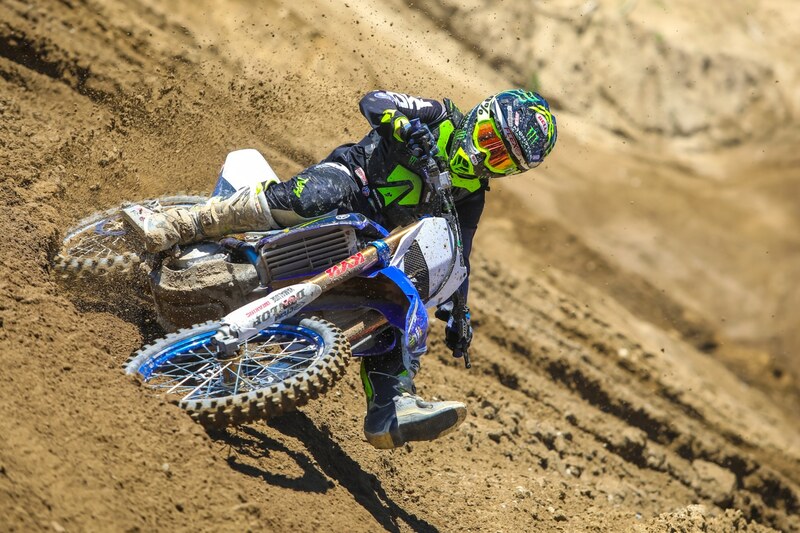 DO YOU FEEL THAT HALF WAY THROUGH THE SERIES IT HAS COME DOWN TO YOU AND AARON PLESSINGER? Yes, I think as of Southwick, I am 35 points behind A.P. so I just try to chip away at the points, and get points lead. We still got six rounds left, so we are only half way through. My brother is still third and obviously injured, so we definitely have a fair cushion on third for sure. 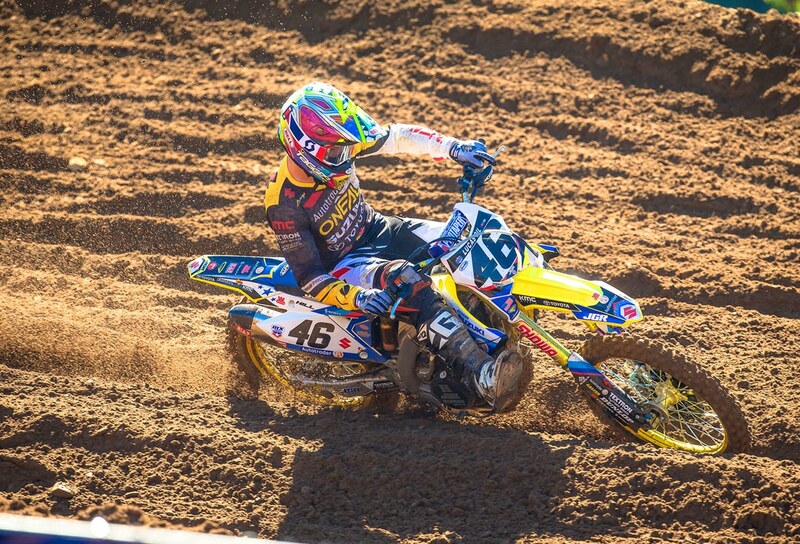 PLESSINGER HAS SOME WINS, BUT YOU HAVE THE CONSISTENCY; DOES THAT GIVE YOU SOME CONFIDENCE? Yes, it does. Obviously, I try to focus on my strength and I think consistency is one of them, so you know, ultimately, I am just going to try to get as many points as I can. A.P. Will just keep doing what he is doing I guess. I would like to think that I have the upper hand, but at the end of the day, I guess we will find out by the time we get to Indiana. REGARDING THE REMAINING ROUNDS, ARE YOU LOOKING AT WHATS NEXT? 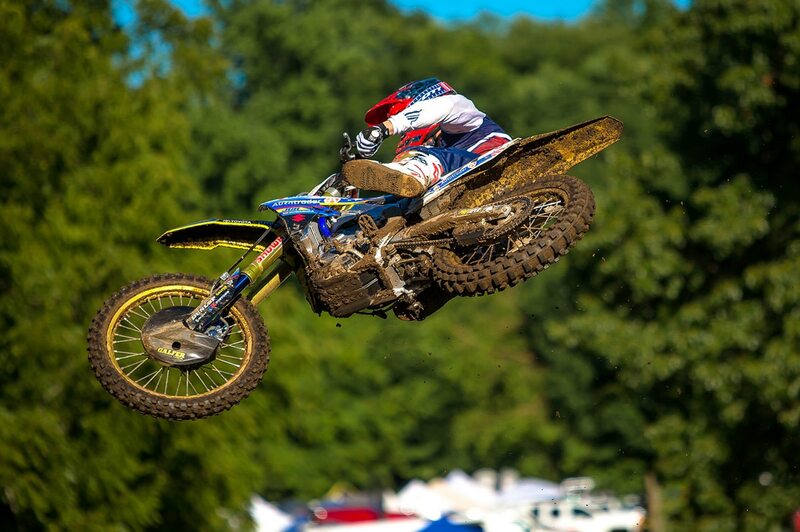 Obviously, I know that Red Bud, and Millville, is all races that I really look forward to. Some of my favorite races on the calendar. Obviously those, and the next couple races I have done well at the last couple of years, so I look forward to those and even Washougal. At the track that I won at before, so that is one. Really the rest of the races on the calendar I am excited and looking forward to, but Red Bud, and Millville are probably my favorites. IS THERE ANY KIND OF SPECIAL FOCUS OR THOUGHTS YOU HAVE REGARDING THE REST OF THE SERIES? For me, my mindset going forward for the rest of the season is just focus on myself, believe in myself, and then work hard during the week, show up on the weekends and just let the results do the talking, you know? YOU ARE PROBABLY ONE OF THE SHORTER RIDERS ON THE PRO CIRCUIT. AARON IS PROBABLY ONE OF THE TALLEST. IS THAT ADVANTAGEOUS OR DISADVANTAGEOUS? I guess that is something that I really have not thought about. Obviously, he probably has an advantage in Supercross. But I think outdoors, it kind of evens out a little bit. Maybe I have an advantage more with shorter legs. I don’t know; it is hard to say. AT THIS POINT, ALEX, IS IT HARD TO JUST GO OUT AND RACE TO WIN? DO YOU THINK ABOUT SERIES POINTS? Obviously at this point with me being in the title chase, points are critical, but I think to think about it all the time is not productive. So I really just try to focus on what I can control, you know good starts, train during the week, and definitely try to not get wrapped up in all the should of, could of, would of and the championship and all that stuff. I think it will drive you crazy, and you lose sleep at night. I think it is important to just have some balance in your day-to-day life and for me that seems to work best when I am relaxed and everything is chill. AFTER ALL YOUR PRIVATEER YEARS, AND THEN FINALLY GETTING FACTORY RIDES, WOULDN’T IT BE INCREDIBLE TO WIN THIS CHAMPIONSHIP? Oh absolutely. I think it would be obviously a dream come true, and I worked a long time for it. So yes I would like to think that all of this grinding, training and all of this suffering was for the end goal, obviously a championship, so that would be a huge success for me in my career. Press Release: Husqvarna Motorcycles is pleased to introduce the 2019 Husqvarna FS 450 – a new supermoto offering both professional and amateur competitors a machine that features the highest levels of technology available in the supermoto segment today. 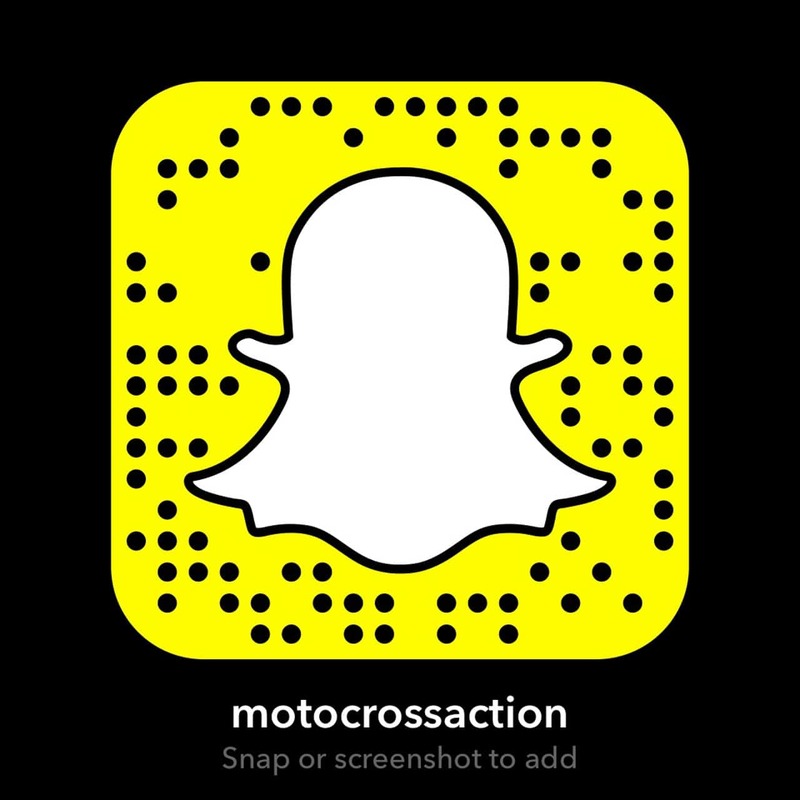 Sharing the innovative technological evolutions featured in the 2019 FC 450 motocross model, the all-new FS 450 is a motorcycle built from the ground up to offer unmatched closed-circuit supermoto performance. With a redesigned chassis and engine platform aimed at improving handling and usability of power, the MY19 FS 450 is a lightweight and agile supermoto machine that is extremely enjoyable to ride and the most capable race winning supermoto available on the showroom floor. 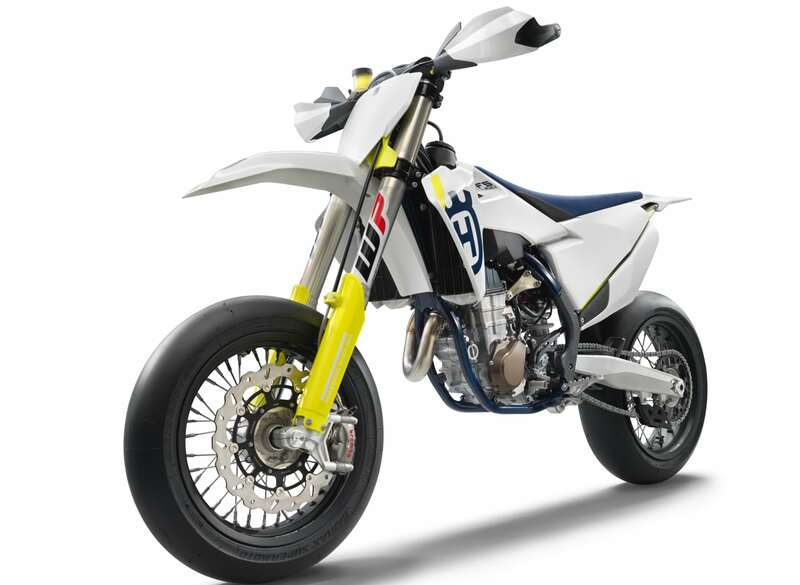 A leading developmental force within the supermoto segment, for model year 2019 Husqvarna Motorcycles introduces a wide series of considered upgrades to the FS 450. Standing out is the all-new, blue coated frame with increased rigidity for improved rider feedback and optimum straight-line stability. Unique to Husqvarna Motorcycles, the composite carbon fiber subframe design gets an additional weight reduction of 0.6 lb for 2019. Featuring the latest in suspension technology, the new FS 450 is equipped with WP’s 48mm AER air fork that matches perfectly with the WP DCC rear shock. Receiving new settings to perfectly match the updated frame characteristics, the WP suspension further improves energy absorption and stability. The 16 mm offset CNC machined triple clamps are specifically designed to work in harmony with the front forks. With a redesigned cylinder head reducing the engine’s weight by over 1 lb, the trademark single-cylinder SOHC powerplant is more compact than ever. At an overall weight of just 60.2 lb and offering a peak power output of 63 hp, the new FS 450 engine design brings notable improvements in handling and usability. Using top-level supermoto competition as a base for development, the FS 450 is equipped with black 16.5” (front) and 17” (rear) Alpina spoked wheels. The high-quality wheels are matched with Bridgestone 125/80 R420 and 165/65 R420 slick tires for maximum grip, traction and agility. Showcasing Husqvarna Motorcycles’ pioneering development direction, fresh and distinctive new bodywork matches advanced ergonomics with a pure yet effective Swedish-inspired design. Husqvarna Motorcycles also offers a revamped line-up of clothing and accessories, which meet the highest standards of quality and include functional garments and dedicated technical parts designed to further enhance the performance of the new supermoto machine. The new Husqvarna MY19 FS 450 machine will be available at an authorized Husqvarna Motorcycles dealer this coming September. 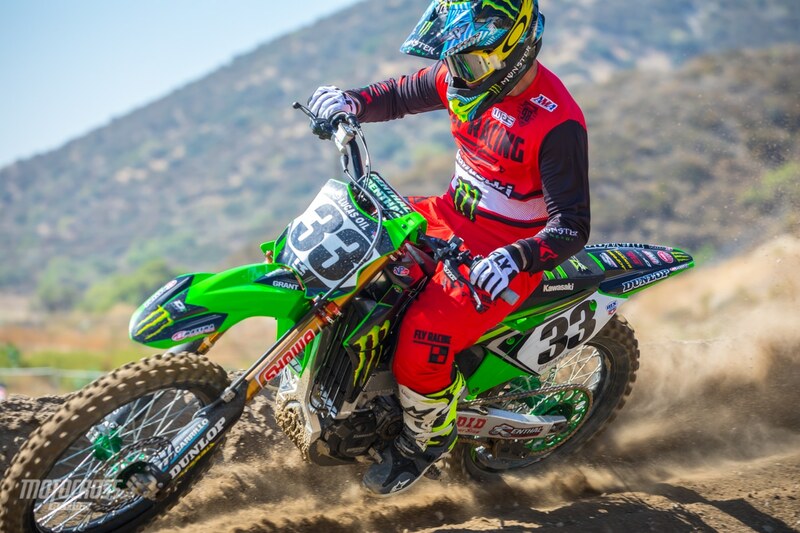 Factory Kawasaki’s Josh Grant was out putting in motos. 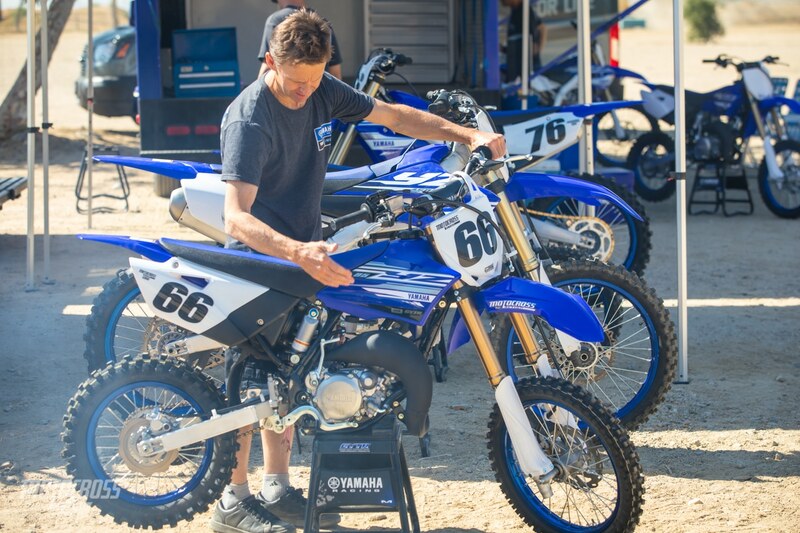 The Yamaha crew of Steve Butler, Travis Preston and a few other came out so we could start testing the 2019 YZ85 (pictured) and YZ450F. 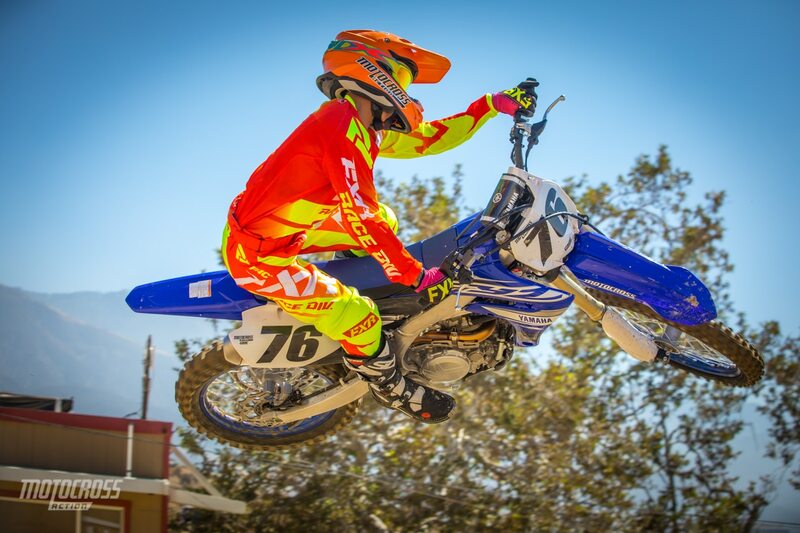 MXA test rider and AMA Pro rider Brian Medeiros is light enough to test the 2019 YZ85 for us. As usually Brian gives his all when shooting in front of the camera. Brain dug the front end in a soft corner and laid it over. Star Racing team manager Wil Hahn was out doing some testing for the team. 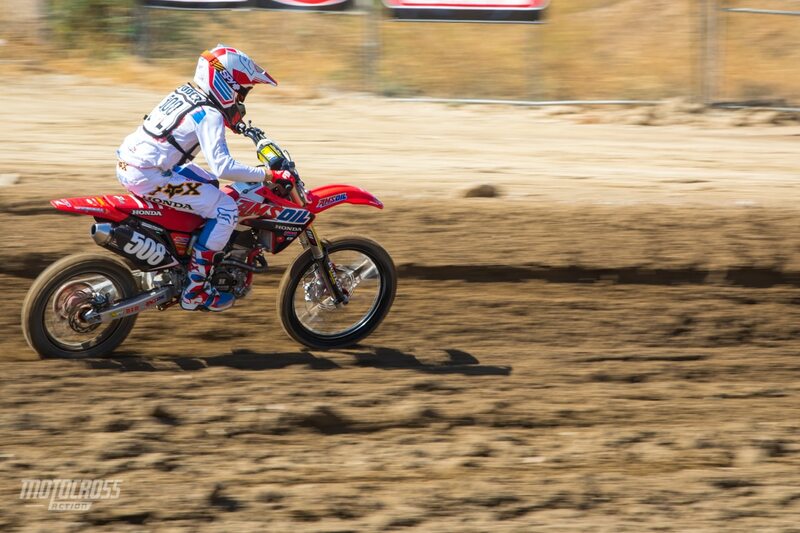 Ryan Surratt tearing up the Glen Helen track on his Honda CR250 smoker. 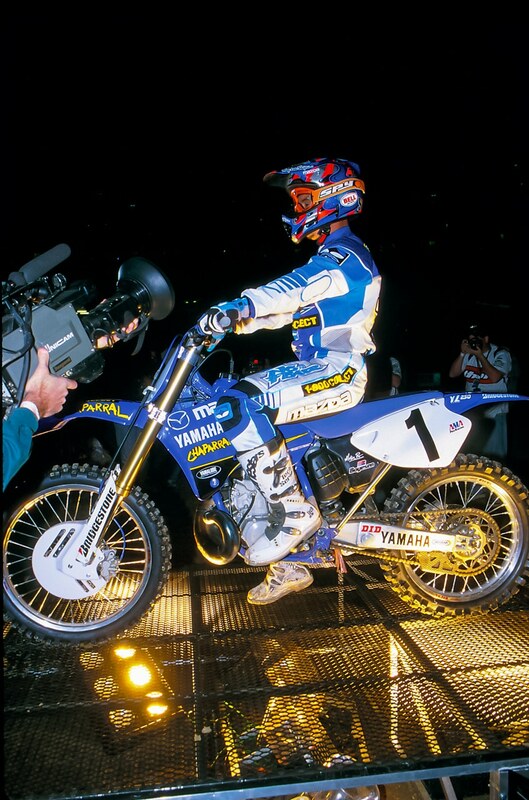 Jermey McGrath during the 1999 Anaheim Supercross during opening ceremonies on his Chaparral Yamaha YZ250. 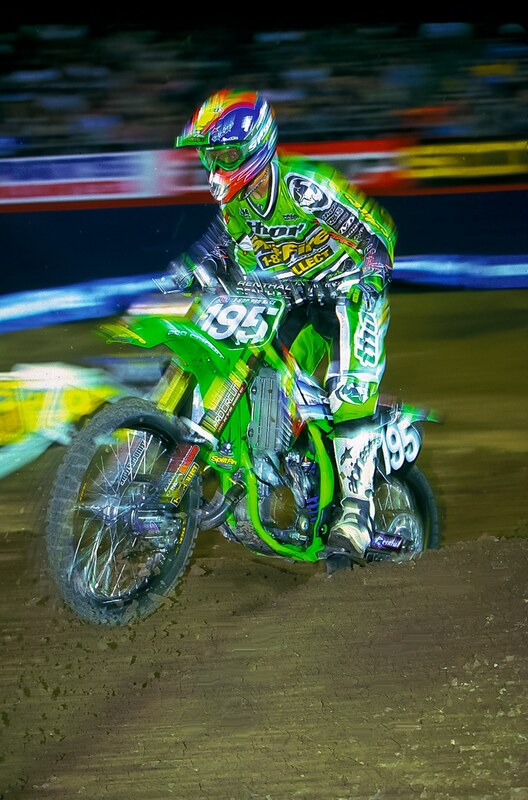 Moto Trivia answer: Billy Payne 1999 on a Pro Circuit KX125.